I enjoy wrapping presents! I don't do it so often, but when I get the chance, I really love to use a nice pattern paper and add a handmade tag . I had the perfect excuse to create a mini tag, using some adorable bear stamps from Whimsy Stamps, to go with my baby boy gift theme. 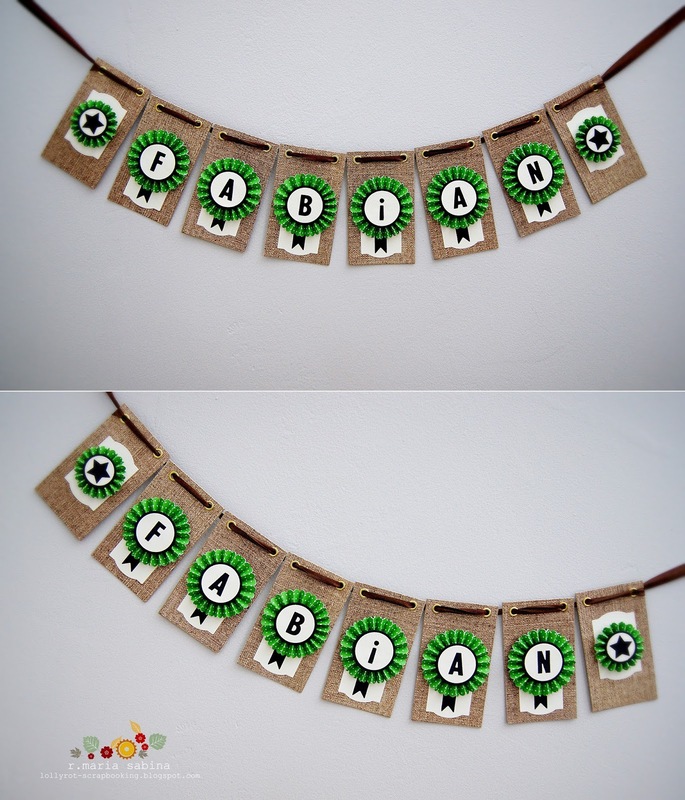 My neighbour just had her first baby boy and I got a few goodies for him, including a handmade banner with his name. If you don't know what to get for a baby, the name banners are the best. You can't go wrong with this gift. Whimsy Stamps has amazing and adorable designs. You can use them for different occasions, including baby showers , wedding, birthdays and more. Just check out their website and our design team for more inspiration. Thanks for stopping by! If you have questions or challenges for me, please let me know in the comments below. Have a wonderful day!